Future site of the Homewood Suites by Hilton® hotel, currently under construction. When complete, the hotel will house the city’s first Starbucks and YaYa’s Euro Bistro, a PB&J Restaurant Inc. concept. Taken Oct. 4, 2018. On Nov. 6, 2018, the Salina Journal reported the Salina City Commission approved resolutions and ordinance readings related to the STAR Bond Redevelopment Project. 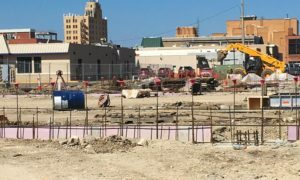 The approval allows the city to move forward with the development of Salina 2020 projects, financed with the sale of bonds to be repaid through sales tax revenue. Currently, the proposed structure of the senior bonds total $18.25 million and $4.15 million of subordinate funds. 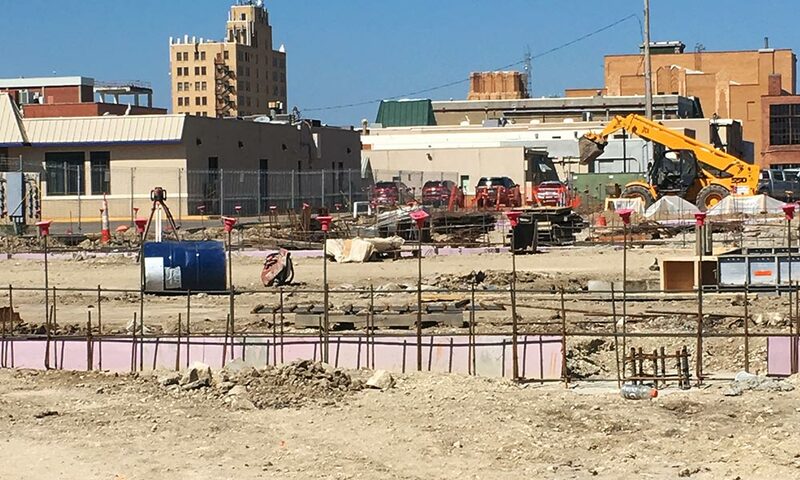 Salina 2020 revitalization projects, including The Alley, Downtown Screetscape project, America’s Crossroads Car Collection Museum and the Homewood Suites by Hilton® hotel are currently using approved STAR bonds. Read more about STAR Bond-related news here.